Cold, dark evenings are perfect for getting some reading done. Here are some books I’m looking forward to over the next few months. Too many people have recommended this book to me, I’ve read reviews on countless blogs, e.g. here, and I’ve finally ordered it: Forming Intentional Disciples by Sherry A Weddell. Very soon, I am doing some sessions at the seminary again on catechetics and, owing to the Year of Faith, I want to root it very explicitly in the new evangelisation. So I am looking forward to some practical insights. Jonathan F Sullivan uses it for a presentation here, and cites Weddell’s list of “normals” for a disciple of Christ: having a living, growing relationship with God; an excited Christian activist; knowledgeable about the faith; knows and uses their charisms; knows their vocation and actively lives it; in fellowship with other disciples. Fill These Hearts is a book about desire, about the deepest ache we feel inside for something. What are we supposed to do with that cry of our hearts? Where are we supposed to take it? I put forth certain ideas in the book that I think some people–namely, those who have been taught that holiness demands we suffocate or repress our desires–will find troubling. Desire can get us in trouble, it’s true. But the solution is notdeath of desire, but depth of desire. In that context, the most exciting aspect of writing this book came well after I was finished with it. On November 7 of last year, Pope Benedict gave an address in the context of the Year of Faith about the importance of desire. When I read it I got chills: it was such an affirmation to me of what I had written. Pope Benedict is inviting the whole Church in that address to foster what he calls “a pedagogy of desire.” In the Christian life, we are pilgrims seeking the redemption of desire. The Christian life, he says, is not “about suffocating the longing that dwells in the heart of man, but about freeing it, so that it can reach its true height.” That, in a nutshell, is what my new book is all about. There are not more than 100 people in the world who truly hate the Catholic Church, but there are millions who hate what they perceive to be the Catholic Church. …and this book is for all those millions. What’s on your ‘new evangelisation’ reading list at the beginning of this year? This entry was posted on Monday, January 7th, 2013 at 6:28 pm	and tagged with apologetics, Christopher Koczor, Christopher West, fill these hearts, forming intentional disciples, New Evangelisation, Sherry Weddell, The Seven Big Myths About the Church, Theology of the Body and posted in Adult Formation, Apologetics, Evangelisation, Life, Theology of the Body, Year of Faith. You can follow any responses to this entry through the RSS 2.0 feed. 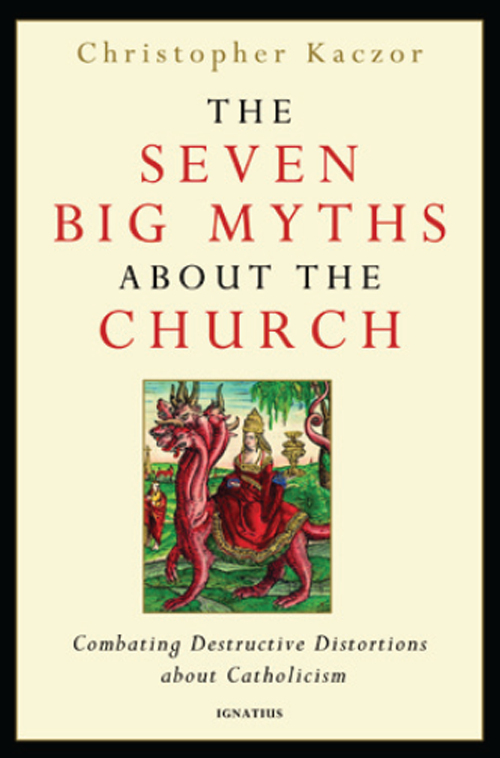 I really enjoyed both Forming Intentional Disciples (I reworked my blog after reading it) and The Seven Big Myths book (I’ve posted about them both). My last book was Courageous Leadership that you recommended and I’m now reading The Ordinary Path to Holiness by Richard Thomas which Leila at Little Catholic Bubble recommended. If I had to go on personal recommendations rather than blogs I’d be reading Fifty Shades of Grey! Thanks for the tips! Fill these hearts is top of my wish list (out tomorrow!) but will check out Transformed In Christ too! Thanks for the tip last year about Francis Kelly’s, ‘The Mystery We Proclaim’. It was excellent and very useful. It’s about how to discuss and answer challenges without getting mean or defensive, and getting them to really think about the issue. In other words, it’s not about providing answers so much as getting them to think first before they throw out the old chestnuts: in short, shifting the burden of proof and other ‘tactics’ in dealing with those difficult confrontations in a genial and winsome manner, yet without backing down. The Annunication is a beautiful image of what we do in catechesis - we announce incredible, life-changing news just as Gabriel did to Mary.